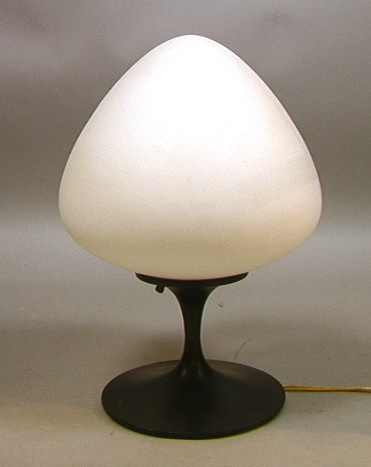 LAUREL Mushroom Table Lamp. Black Base with Teardrop Frosted Glass Shade. Paper Label.